Now that Marvel’s Captain Marvel is in theaters – and a huge hit to boot! 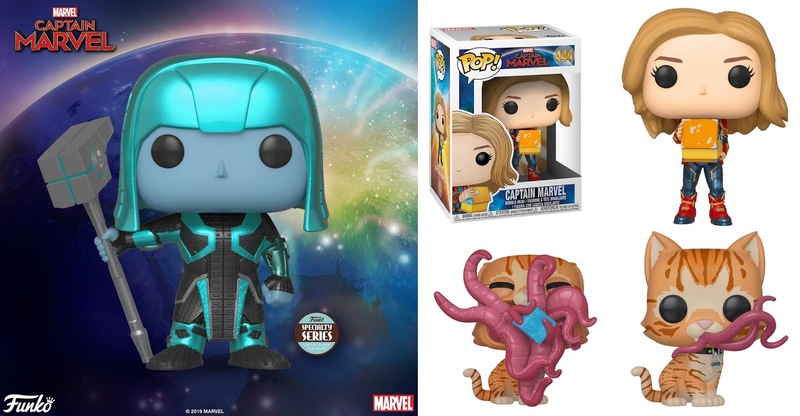 – Funko has announced a second wave of Captain Marvel Pop! vinyl figures. Captain Marvel Pop! 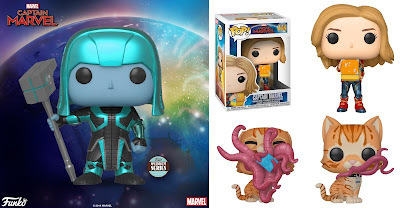 Series 2 includes Captain Marvel with the Tesseract, the containment vessel for the Space Stone, Goose (Flerken), a Goose (Flerken) 1 in 6 Chase Variant, and a Specialty Series Exclusive Ronan the Accuser.